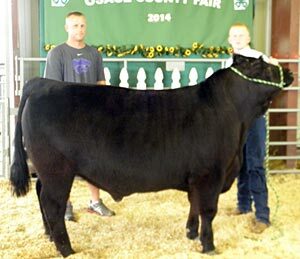 During the annual 4-H livestock sale on the last night of the Osage County Fair, premiums were sold for grand champion and reserve grand champion market animals in each species. Pictured with each grand champion exhibitor is the buyer who purchased the premium on the animal in the livestock auction. Paige Pearson, Willing Workers 4-H Club, had the Grand Champion Market Steer, purchased by Bank of Osage City (Rick Bryan). 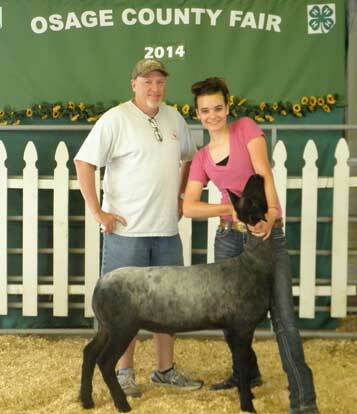 Tracy Wilk, Willing Workers 4-H Club, with the Grand Champion Market Lamb, purchased by Jerry’s Thriftway (Brian Giesy). 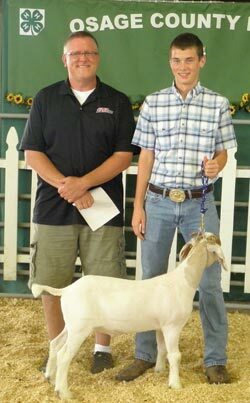 Kyle Garrison, North Osage 4-H Club, had the Grand Champion Market Meat Goat, purchased by Gibson TruCare Pharmacy (Mandy Gibson). 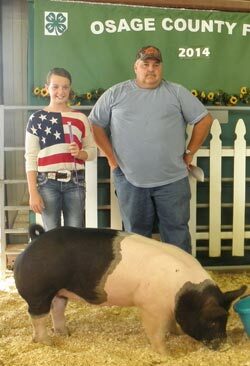 Bailey Corwine, Willing Workers 4-H Club, showed the Grand Champion Market Swine, purchased by Santa Fe Trail Meats (Mr. and Mrs. Aaron Higbie). Peyton Pearson, Willing Workers, Reserve Champion Market Steer, purchased by Theel Plumbing (Nathan Theel). 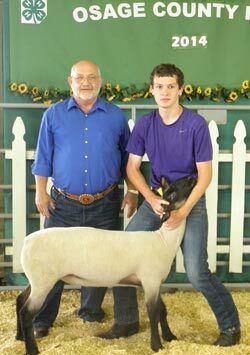 Leon Sluder, Vassar Blue Ribbon, Reserve Champion Market Lamb, purchased by Merchants Fund (Glenn Templeton, representative). 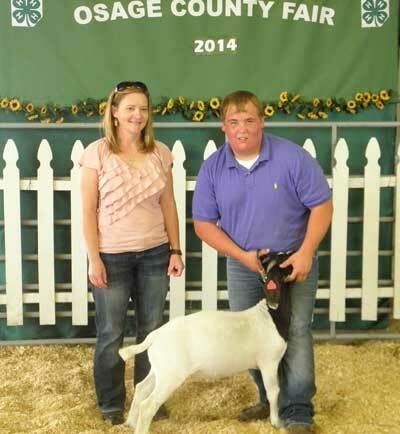 Kyle Hug, Carbondale Rustlers, Reserve Champion Market Meat Goat, purchased by S&S Propane. 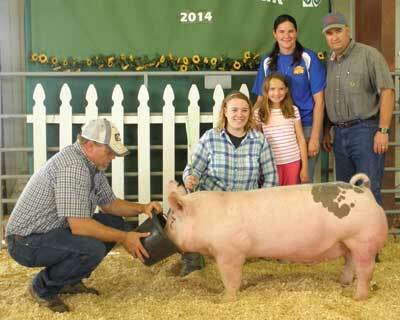 Ainsley Corwine, North Osage, Reserve Champion Market Swine, purchased by Quality Built Pole Barns (Brad Meek). 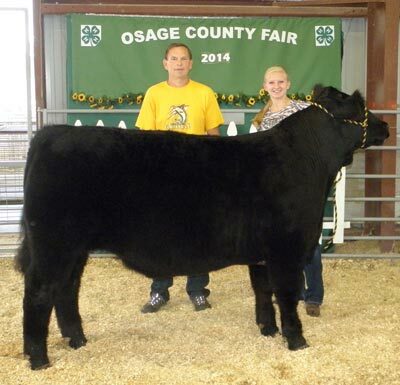 The Osage County Fair was held June 25-28, 2014, at Osage City. Information and photos thanks to Sally Wilk and the Osage County Fair Association.